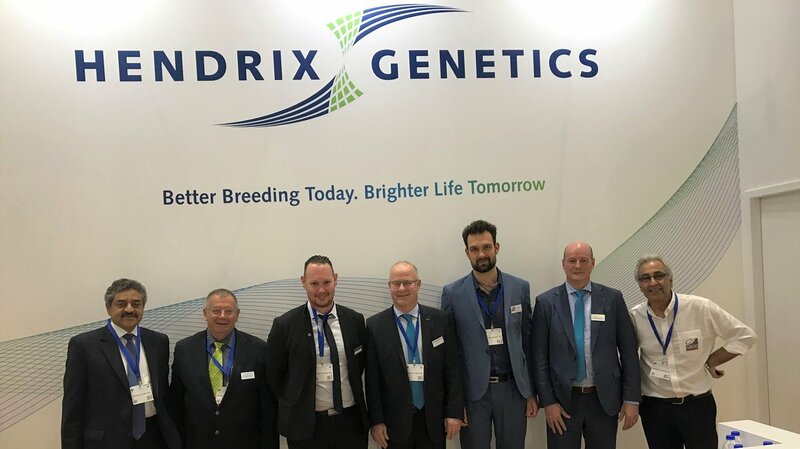 Hendrix Genetics exhibited for the very first time at the VIV MEA show in Abu Dhabi. The trade show is a split-off from the Agri ME Dubai show and is organized for the 2nd time. A selective and motivated group of sales managers of different business units were focused to attract customers, prospects and new business opportunities. With visitors from the Middle East, Pakistan, India and few from Africa, the visitor profile was quite diverse. 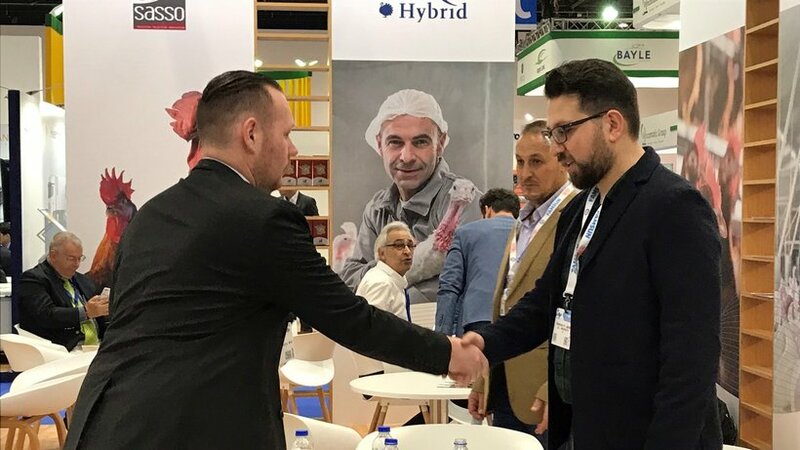 The team from Hybrid Turkeys was excited to solidify a partnership whereby they would sell parent stock turkeys to Iran; the first ever Hybrid genetics to go into this country. It was a fruitful show in a growing market.